US nuclear negotiations with Iran. Raymond Tanter appeared on Al Jazeera Arabic 20 September 2014. The topic was U.S. participation in negotiations on the Iranian nuclear file. At issue is whether this involvement may conflict with coalition-building against the Islamic State of Iraq and Syria (ISIS). Secretary Kerry had indicated “Tehran could play some role” against ISIS, even though it was not a formal party in the coalition. 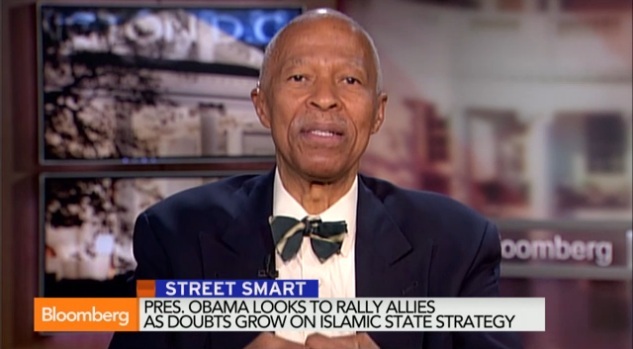 Tanter spoke against the idea of approaching Tehran because the Iranian regime was responsible for the divisive policies in Iraq that created the political space for ISIS to evolve: Sunni Iraqis defected to ISIS partly due to Iranian-sponsored sectarian actions. These Iranian efforts made it possible for ISIS to make dramatic gains in northwest Iraq. The same disruptive Iranian policies placed in even greater jeopardy members of an Iranian dissident group—People’s Mojahedin Organization of Iran (PMOI)/Mujahedeen-e-Khalq (MEK), trapped in prison-like conditions in Iraq. As negotiations to build a coalition against ISIS go forward, expect enhanced efforts by Tehran to link them with hints that it would make concessions in the nuclear talks based on ISIS negotiations. Avoidance of linkage between ISIS coalition-building and the nuclear talks should be a priority of Washington. Professor Raymond Tanter on Bloomber TV. 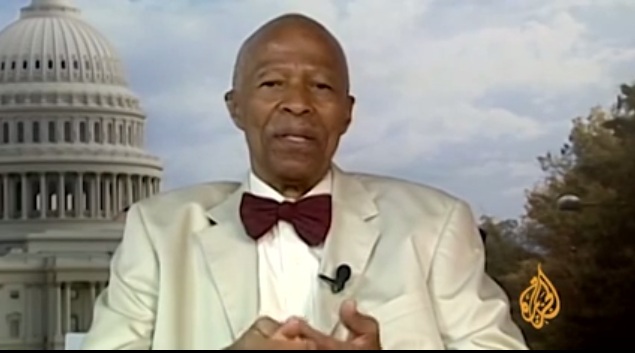 On October 14 2014, Professor Raymond Tanter was on Bloomberg TV discussing; Does U.S. Need Iran in Fight Against Islamic State? On October 17 2014, Professor Tanter was on Bloomberg TV discussing; Mistake to Further Inflame Relations With Iran: Sachs. 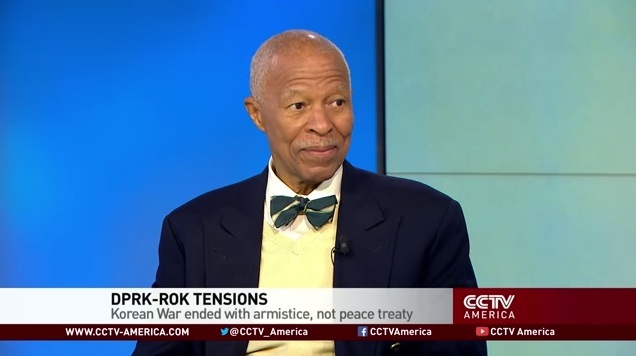 On October 2 2014, Professor Raymond Tanter was on CCTV America. Iran chose Iraq Shiites V Sunnis, Who Defected to ISIS: Regime Change from with in Iran Dents ISIS @CCTV_America Pt 2 PMOI.